Adafruit Holiday Gift Guide 2016: Cases & Enclosures for Pi Projects #RaspberryPi « Adafruit Industries – Makers, hackers, artists, designers and engineers! 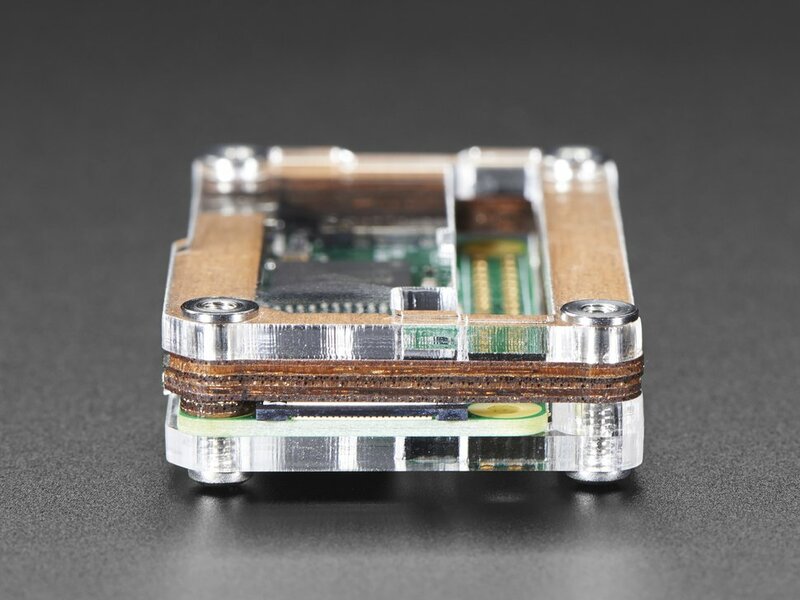 For this mini-roundup I’ve focused squarely on various Raspberry Pi cases and enclosures available in the Adafruit shop. Of course we have available more than just what I show here, and there are cases for most board types. What we don’t sell is likely available elsewhere online or can be made yourself with a 3D-printer (what a great time to be alive!). 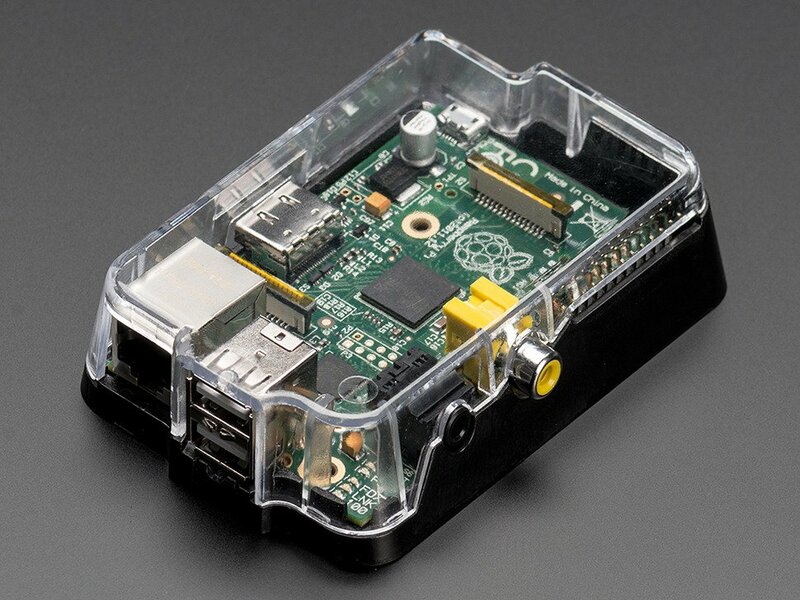 But ultimately once you’re done prototyping and tinkering you’re going to want to house that Pi in an enclosure for either aesthetics or simply to protect the Pi from the elements and exposure. Here’s a shortlist of some of my favorites for various reasons – and various Pis! 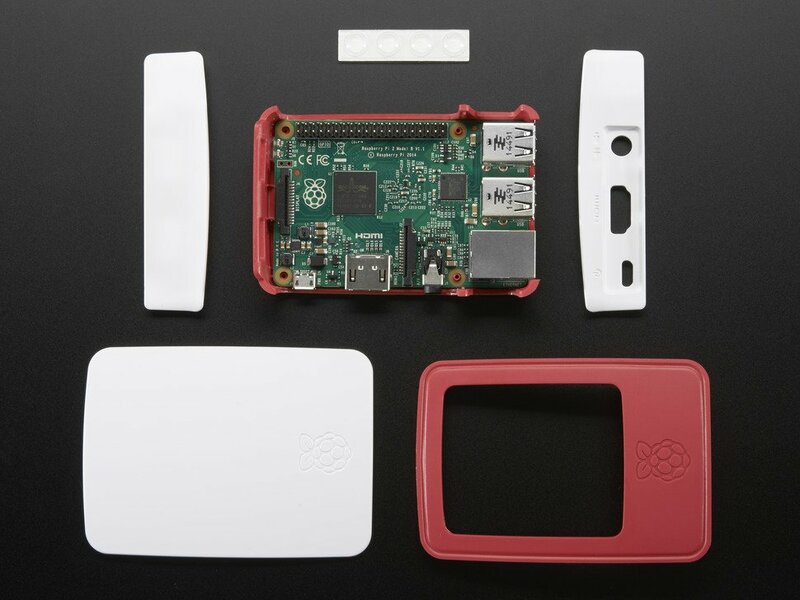 If you’re looking for a simple case for your Pi Zero that provides both accessibility and durability, look no further than this injection molded offering from ModMyPi. 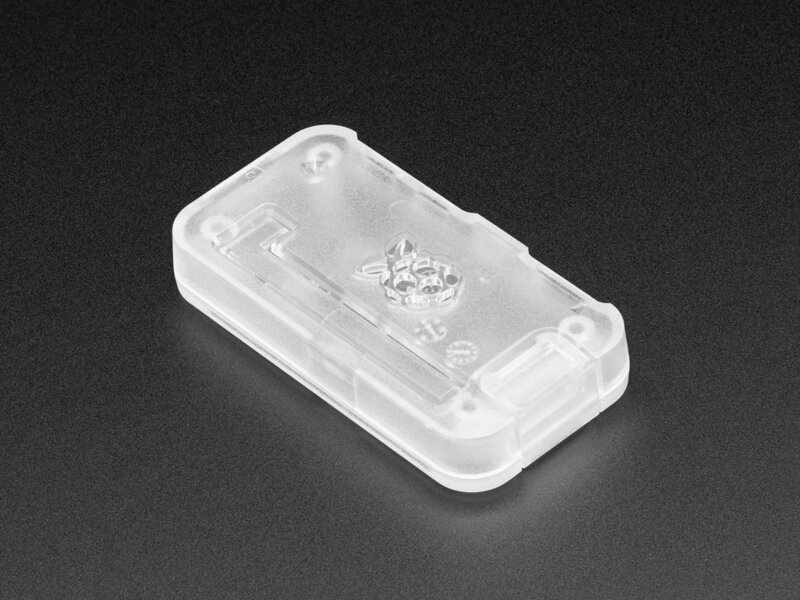 One of the unsung features of this case are the M3 mounting holes on the underside of the case that allow you to secure the case to most surfaces, or even quickly attach the case for wearable projects. That’s a superb feature for the diminutive Pi Zero! For just $1 more than the ModMyPi case you can have this multi-material and multi-layered case from C4Labs. This is such a simple design that looks great, giving your Pi Zero added protection with minimal footprint extension. The ‘Plus’ version of the above Pi Zero case, this one includes the obvious prototyping area – and yes, the half-size breadboard is included! This case is a readymade Pi Zero experimenters playground. The GPIO numbers and labels etched on the top plate are a nice touch. If you’re looking for a simple case for your Pi A+, it doesn’t get much better (and simpler – did I mention it’s simple?!) than this. Made from 2 parts, you can have this case at your fingertips in just a couple hours – instructions and files are located here. Better yet, if you have a Pi A+ and want to add a 2.2″ PiTFT HAT to your build, this case is readymade for you and your project! 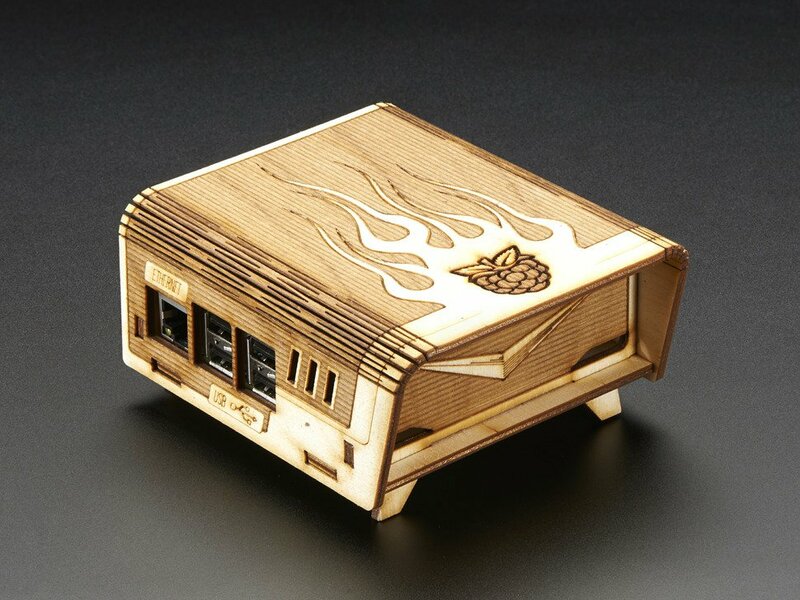 Not only is this case ‘official’ but it’s one of the best-looking ones out there for your Pi B+, Pi 2, or Pi 3! The multiple lid options are readymade for most projects, and there’s even room to fit a perma-proto HAT. Again, if you have a now-old-school Model A or B Pi, and want to give it a little body, this Pi Case from yours truly is what you want. It’s just two parts that snap together, and the combination of hard plastic and soft curves and lines is a great juxtaposition of material and style. Still one of my favorite cases for the Pi 2 & Model B+, this case from C4Labs is fun to put together and has a fantastic look to it – almost like the case is in motion! The stand-off feet are a real nice touch, as are all the labels for the various ports.